My Chocolate Peppermint Cupcakes came together oh, so quickly thanks to Organic Miss Jones Chocolate Cake Mix. No kitchen stand mixer is necessary. All you need is one big bowl and one big spoon (or spatula.) In minutes, a moist cupcake emerges from the oven. Once cooled and slathered with vanilla frosting and sprinkled with peppermint candies, you’ll know it’s a Merry Christmas…whether it’s the holiday season or not. http://ninjabaker.com/sites/default/files/chocolate peppermint cupcake solo best ninjabaker.com recipe.png Ingredients: 1 package chocolate cake mix (I used Organic Miss Jones Chocolate Cake Mix) 1 cup milk 3 eggs ½ cup butter, melted 16-18 peppermint marshmallows Ninja Note: The ratio of milk, eggs and butter to the cake mix reflects the brand I chose. Follow the instructions as directed on the package you choose. Ancient Japanese knew the secrets of peppermint. 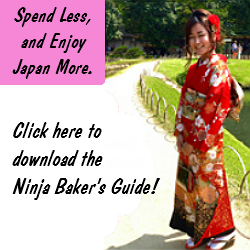 (The miracles of chocolate and cupcakes came to Japan a few centuries later.) Alongside their Egyptian counterparts Japanese healers were prescribing peppermint leaves, teas and oils for digestive and respiratory issues. Toothaches and headaches were also cured with the perfect mint. The current interest in the natural medicines has put the restorative qualities of peppermint back in the spotlight. (Aromatherapy is huge in Santa Monica. Is it popular in your neighborhood, too?) By the way, peppermint is packed with omega 3 fatty acids, iron, calcium, Vitamins A and C.
Certainly, chocolate and peppermint take on creative twists and expressions worldwide. 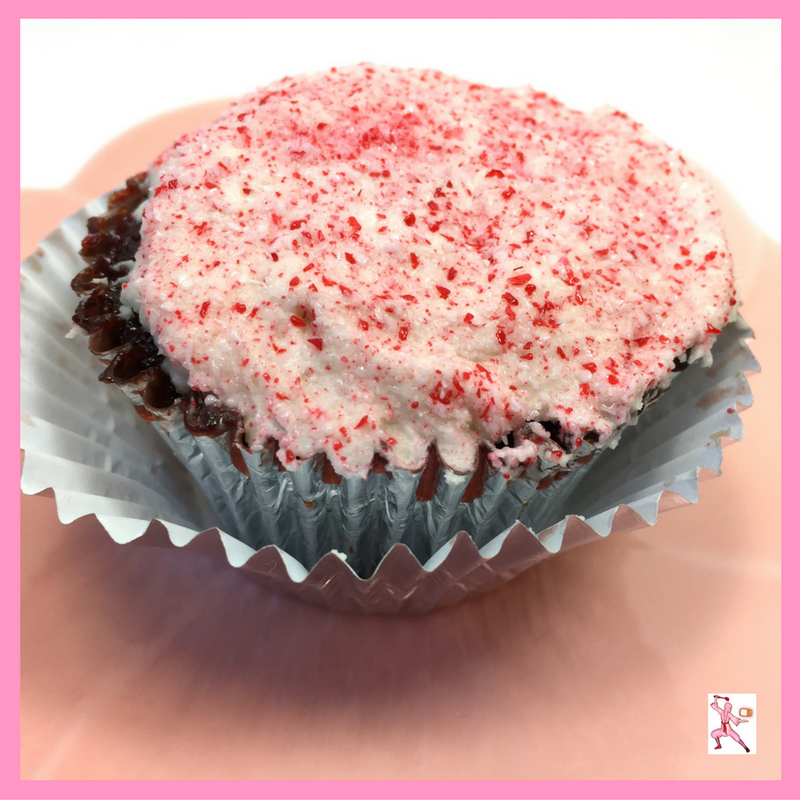 Inspired by a ribboned bag of pink peppermint marshmallows at the market; Organic Miss Jones Chocolate Cake Mix and Christmas, I created Chocolate Peppermint Cupcakes. 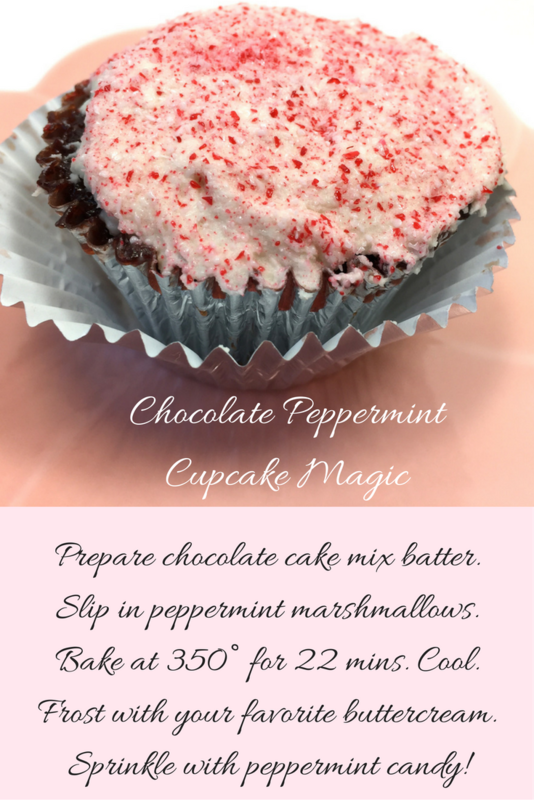 Into each chocolate cupcake, a peppermint marshmallow was inserted. I thought the marshmallow would be visible once baked. Turns out they completed melted and left behind a moist chocolate-minty cake. 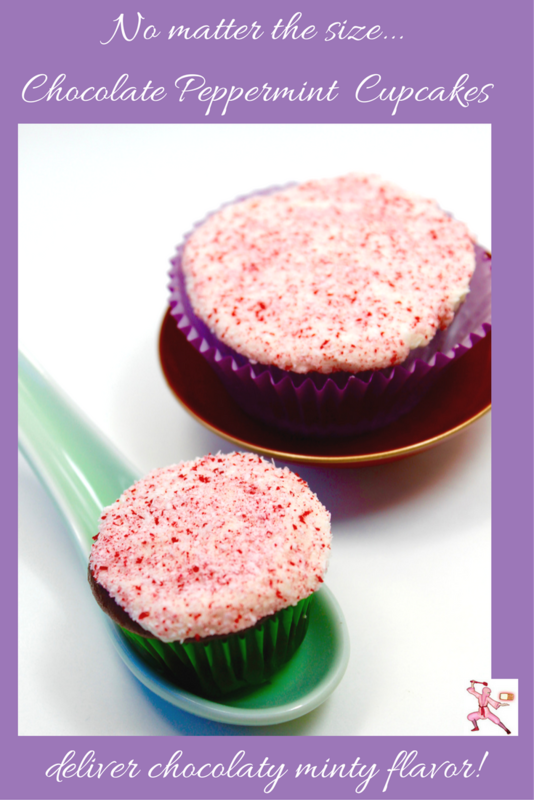 To make the cupcake even more magical, I grabbed a tub of Organic Miss Jones (non-GMO – yay!) Vanilla Frosting. I slathered the tops of the cupcakes and sprinkled the very vanilla-y frosting with peppermint candies. 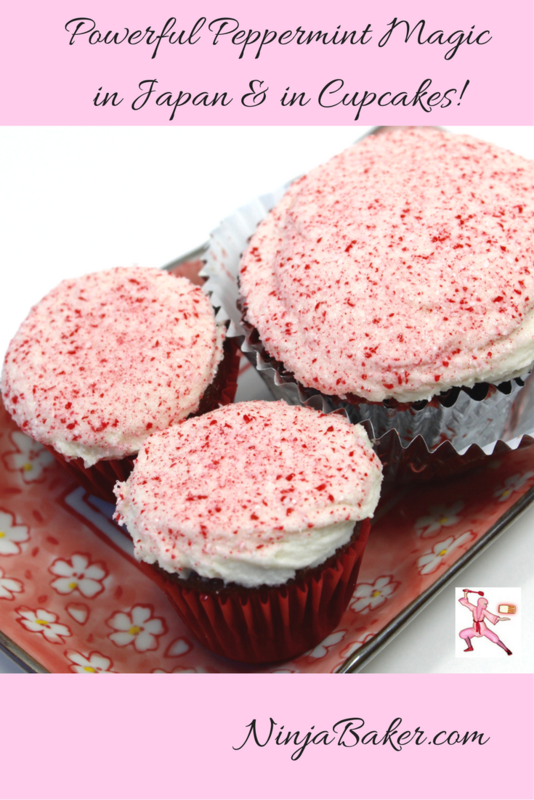 See the recipe below for an easy route to chocolate peppermint cupcake scrumptiousness! My Chocolate Peppermint Cupcakes came together oh, so quickly thanks to Organic Miss Jones Chocolate Cake Mix. No kitchen stand mixer is necessary. All you need is one big bowl and one big spoon (or spatula.) In minutes, a moist cupcake emerges from the oven. Once cooled and slathered with vanilla frosting and sprinkled with peppermint candies, you’ll know it’s a Merry Christmas…whether it’s the holiday season or not. Ninja Note: The ratio of milk, eggs and butter to the cake mix reflects the brand I chose. Follow the instructions as directed on the package you choose. Whisk together all the ingredients except the marshmallows in a big bowl. Divide the batter into cupcake cases. Bake at 350° for 18-22 minutes for regular cupcakes, 10-14 minutes for mini cupcakes. Insert a toothpick into the cupcake centers. If there is a crumb or two, the cupcakes are probably done. More than that, pop the cupcakes into the oven for a minute or two more. Wishing you a magical minty holiday season!